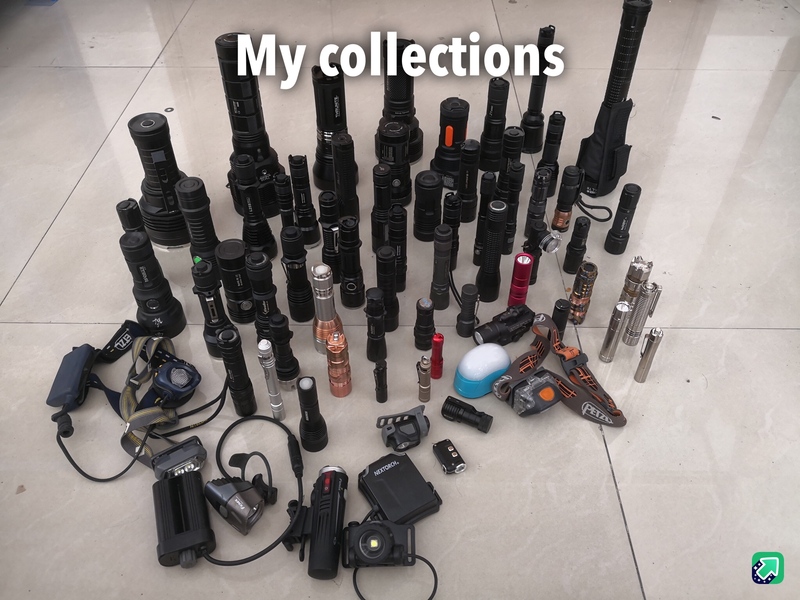 Hello all BLF members, I'm Bruce from china, I love flashlight .I begun to collect flashlight since 2008 and have more than 150 pcs flashlights now. We have some flashlight forums in China, but it seems people there don't have the interest and passion any more, so I come to here. We also have many flashlight brands and manufacturers in china ,some make high quality products but expensive,some offer budget price but really low quality. I want to make some flashlight , offer both high quality and good price, any suggestion? Welcome to BLF, AWTACT! If you want to make a good quality budget flashlight brand, take a look at Convoy brand. Simon is the owner and he has an AliExpress store. His brand is in China, his prices are reasonable, and his quality is excellent! He’s a member of this forum for several years, and everyone trusts him. There are other good quality budget flashlight makers who are members here also. Follow in their path(s) if you want to succeed. Please enjoy your time here, AWTACT! In my opinion, the best place to start is with a compact general purpose light. I would recommend something the size of Eagle Eye X6 or Convoy C8 or Luckysun D80. Out of those three, I prefer the look of the Eagle Eye X6. The smooth, simple shape is pleasing to look at. Please don’t do anything with a tactical look. Thanks! I know Convoy, We generally name convey“maoku” in China, you may ask simon the reason. I agree Convey offer good price but I don’t like their quality and design, I have 3 Convey. Thanks for your suggestion, I have some eagle eye. Hey how are you doing, and welcome to BLF! Me, I like Noctigon/Emisar a lot. Thanks, I have a M43 and like it very much. Thanks, sure i enjoy here. Convoy ? What maoku, wool pants..? Hum, yes I’ve got a Chinese translator on my browser but I don’t think that sounds right but maybe Simon does like wool pants.. ha ha ha..
What do you really think of Jaxman lights..? Haha, you know maoku! About Jaxman, Z1not bad,others just so so. Their products are not really niubility. Welcome AWTACT! I’m guessing with so many high rise buildings and bright street lighting in China, there’s not much use for flashlights, therefore people are losing interest over there. Wait, did you really say you don’t like Convoy quality? You’re the first person I’ve heard of not liking their quality. Would you tell what you don’t like about it? Hi Bruce, welcome to BLF ! What brand do not own yet? What is your opinion which light is best budget and quality in same time? Welcome to BLF AWTACT! More than 150 flashlights, WOW! I want to make some flashlight , offer both high quality and good price, any suggestion? What do you mean when you say you want to make flashlights? Are you associated with a manufacturing company that can design and mass produce flashlights? Or Is it just a small business making custom flashlights that your'e proposing? Thanks. What do you mean when you say you want to make flashlights? Are you associated with a manufacturing company that can design and mass produce flashlights? Or Is it just a small business making custom flashlights that your’e proposing? Thanks. Thanks. In fact, I have a CNC factory for years, I will hire 2 or 3 engineer for R&D. Thanks! Most of my collection are Chinese brands. Yes,maybe it improve in these years. My convey was bought in 2012. I will buy a new to check. The majority of the lights we buy here are Chinese brands too but of course there are some good modders on this forum that spices up these lights and many products here are also shaped by input from this forum like the BLF GT. There’s just too little profit in the flashlight hobby business for American companies like Maglite or Duracell to venture into. Thanks. Wowtac IMO, seems made by thrunite? And add me to the list…I’d love to see a picture of your collection. Thanks. I will giveaway some of my collection. show us your collection please. I wish you well in your new endeavor, AWTACT! What are you making in your CNC factory now? Thanks. Convoy ? What maoku, wool pants..? Hum, yes I’ve got a Chinese translator on my browser but I don’t think that sounds right but maybe Simon does like wool pants.. ha ha ha.. Welcome to BLF AWTACT, What do you really think of Jaxman lights..? Niubility ?? I have all of his lights going back many years and yes Z1 is probably the best he ever designed and manufactured, next I like X1 and I always suggested to him to go with XHP35 in the X1 and he refused but finally he did X1S, I have the first one he sold, it was really bad then but much better now. Welcome again to BLF, Chinese are great friends to BLF and help us a lot with manufacturing our designs. Edit: Have you seen the BLF GT that our members designed and Lumintop manufactured for our group? Welcome OP! We usually have sellers from China, not as many people interested in the flashlights! Welcome to BLF! Welcome to BLF forum. Since you have CNC factory, I think you can start off by designing batteries tube or tube adapters or handles first. Pick some popular flashlights like BLF GT at this moment. But I would say shipping cost is one of the factor that you need to solve in order to sell internationally.